Not only this, US manufactured soft drink Dr Pepper had promised a free soft drink to all Americans if Guns N' Roses released a new album in 2008 and has said it will honour its pledge. According to wikipedia, that's a whopping 300 million potentially thirsty people! Does this also cover Americans living abroad? 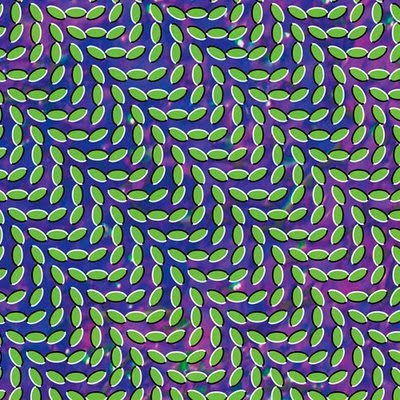 and Animal Collective have released their latest album art for their forthcoming album Merriweather Post Pavilion due to be released on 27th Jan next year. I'm holding another Living Room Concert this weekend and as usual the location and artist remains a secret until the event is over. I'll be posting videos, photos and a review of the evening at the beginning of next week.